The Joranda Falls or Joranda Waterfall is located in the core area of Simlipal National Park in Mayurbhanj district of Odisha. 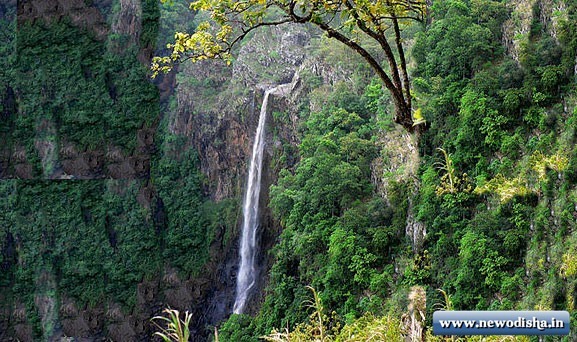 The nearest waterfall of Joranda Waterfall is Barehipani Waterfalls. It is the 19th highest waterfall in India. The height of the Joranda waterfall is about 150 metres or 490ft. The water plunges over a lofty cliff in a single drop, spreading out slightly as it falls. As Mayurbhanj is well connected with roads, so it is very easy to reach this beautiful waterfall in Odisha. If you know more information about the Joranda Waterfall of Odisha, then post your information in the below given comment box. After verify we shall add your information with your name in this post. Give Responses for "Joranda Waterfall of Odisha"